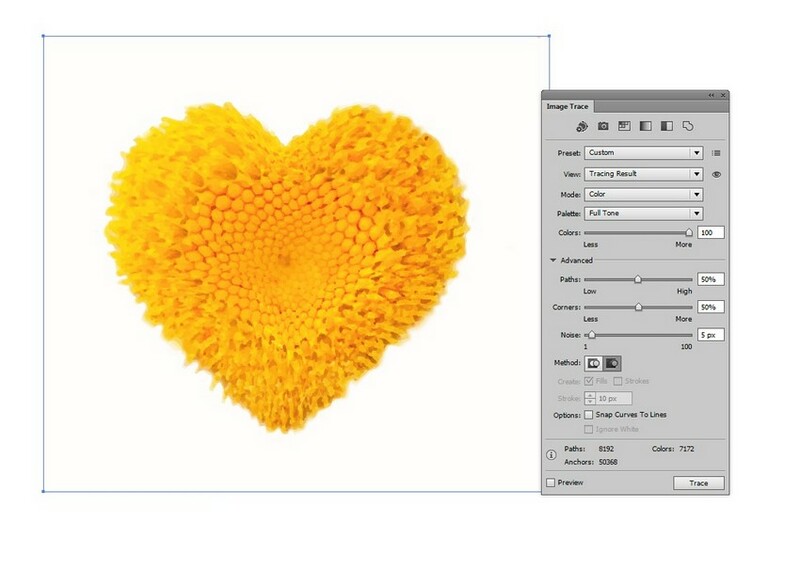 In this tutorial, you will learn how to use the Mesh Tool and Warp Effects in Adobe Illustrator to create a beautiful pair of heart-shaped daisies! 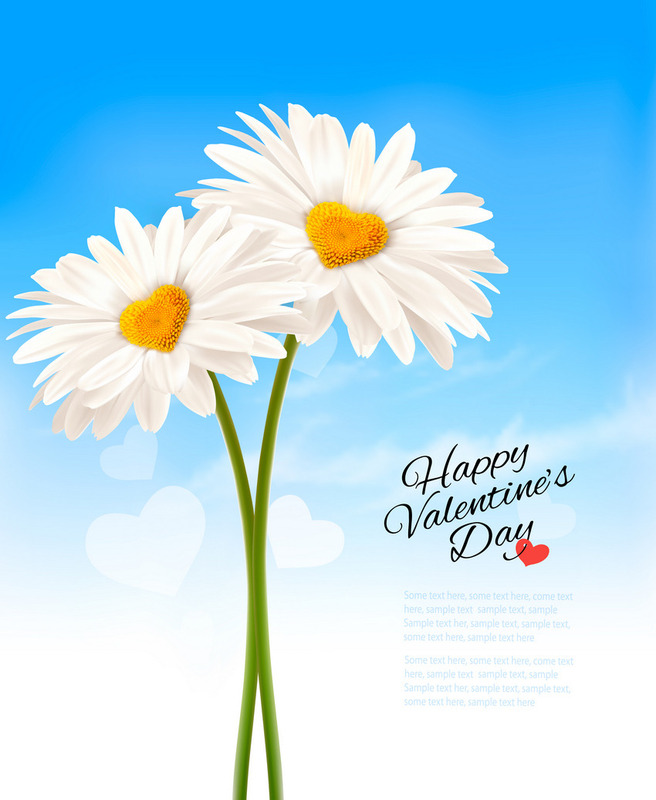 If you want to skip the tutorial and just use these flowers in your work, you can purchase the Two Daisies with Heart Shaped Middles from GraphicRiver! 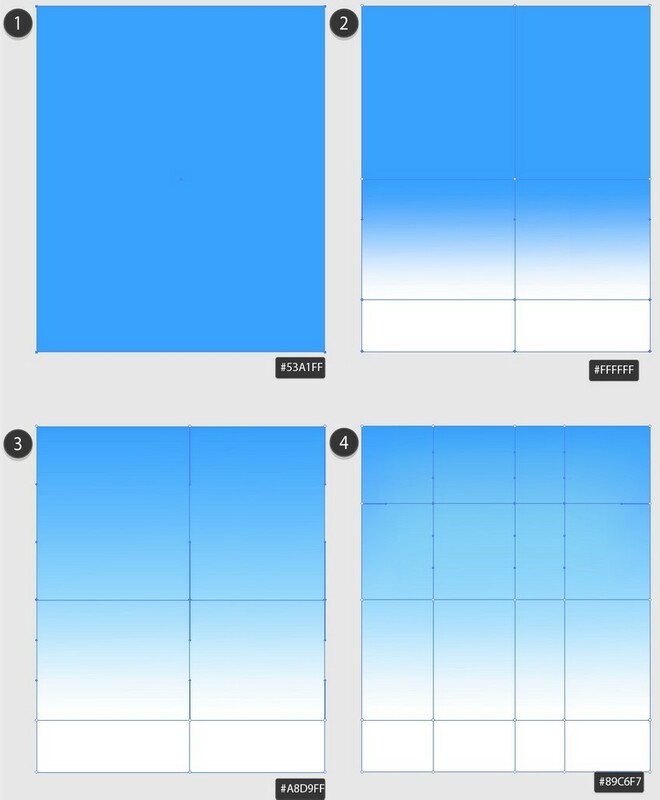 Let’s learn how to use the Mesh Tool while creating this background! First, draw a rectangle, filling it with the color #53A1FF. 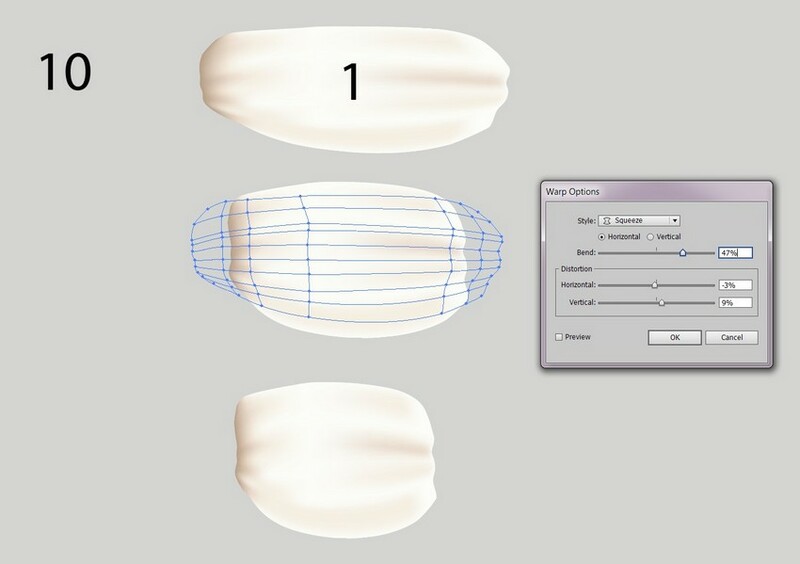 Grab the Mesh Tool (U) and create a Mesh Grid like the one in the screenshot below by clicking where the nodes are supposed to be. 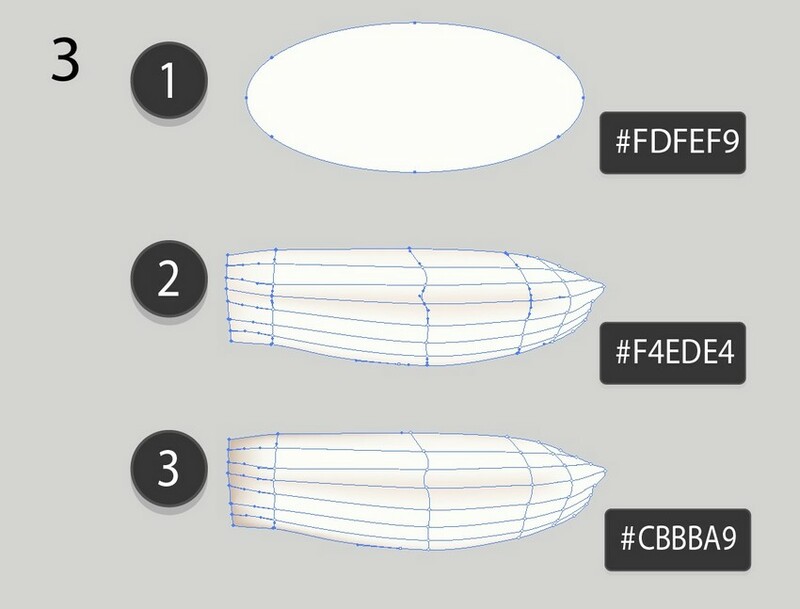 indicated in the second step of the image, and color them with #FFFFFF. Continue in a similar fashion, first coloring the top middle row of nodes, now with #A8D9FF, and then three more nodes on the top with #89C6F7. 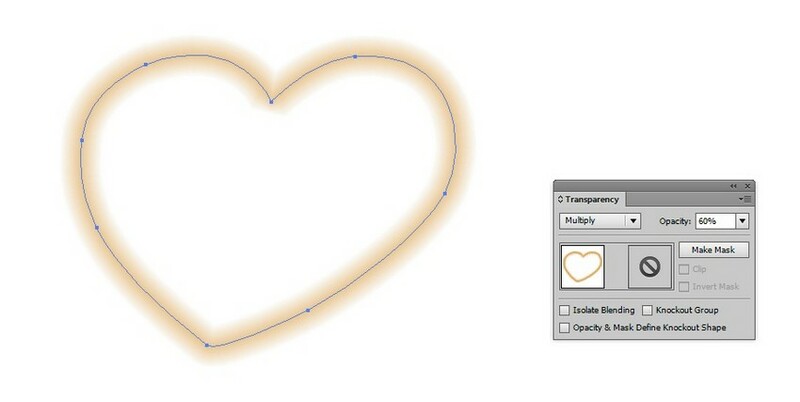 Using the Pen Tool (P), draw a white-filled heart. Create two smaller copies of it. 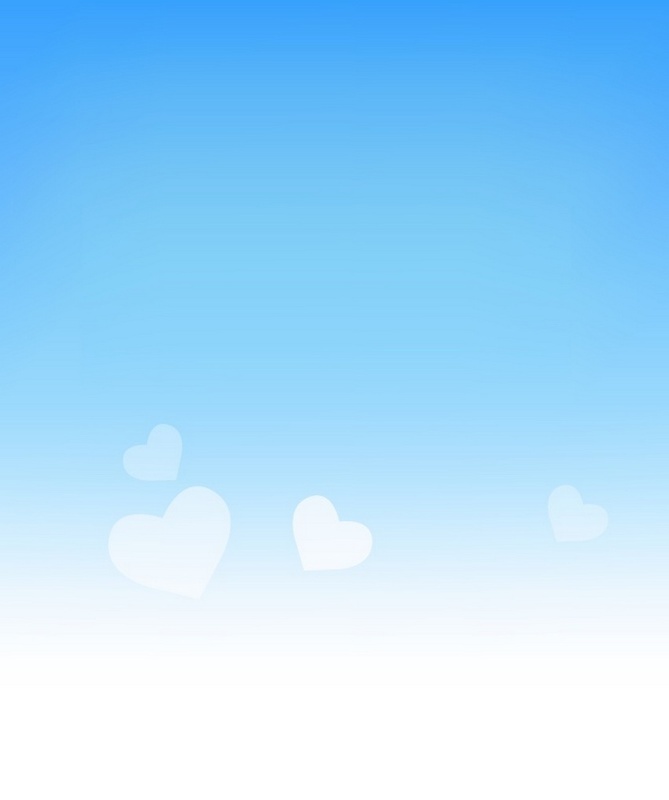 Next, change the Opacity of the biggest heart to 50%, of the middle heart to 70%, and of the smallest one to 30%. You can also add clouds. 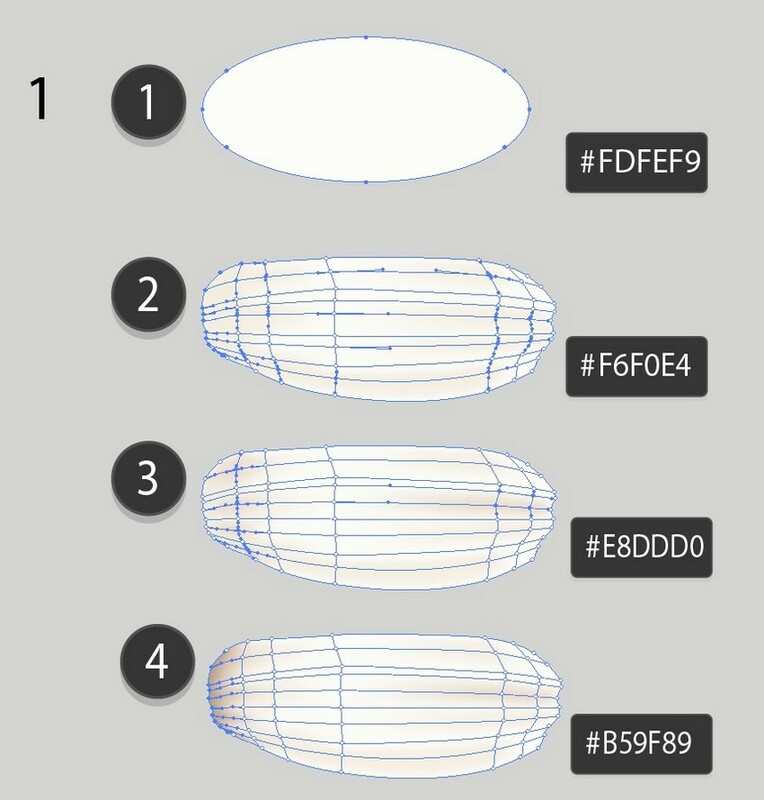 Find out how to create those in this tutorial! Now that our background is all done, let’s move on to the harder part of the tutorial: drawing the daisy with Mesh! 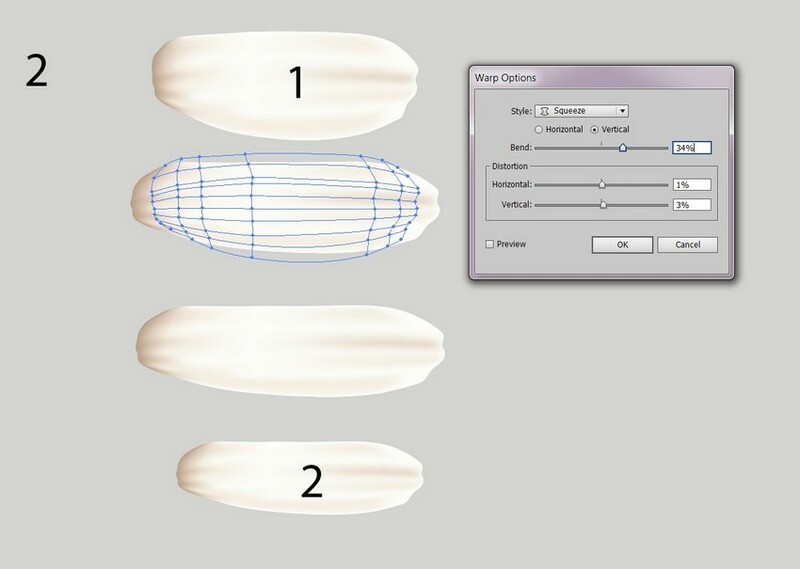 Draw the first petal out of an ellipse, which you need to add Mesh nodes to and shape as shown in the screenshot below. 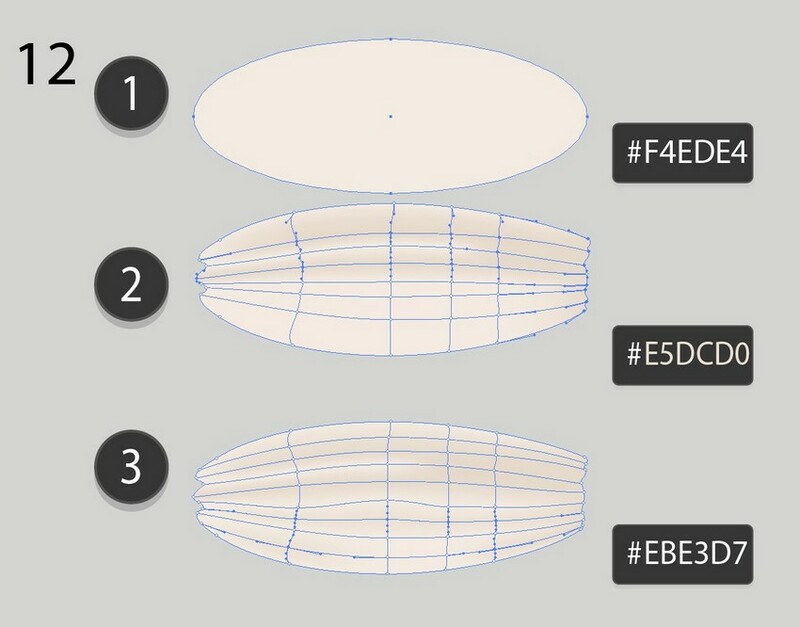 Use the Mesh Tool (U) and follow the steps below, coloring the selected nodes. 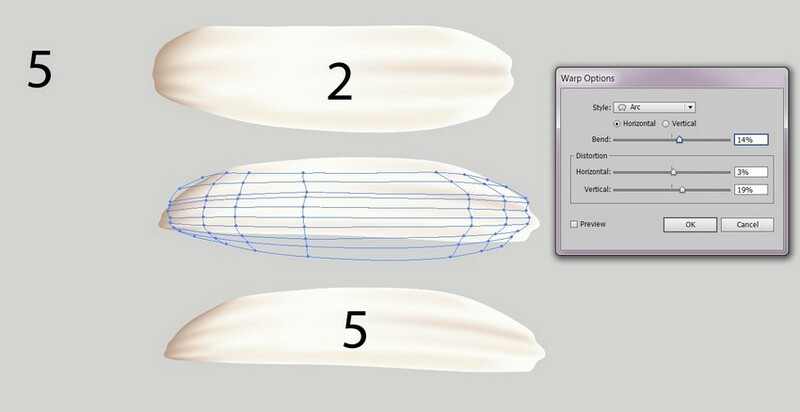 To make the second petal, create a copy of the first one and proceed to Effect > Warp > Squeeze, using a 34% Bend with 1% Horizontal and 3% Vertical Distortion. After you apply this effect, use Object > Expand Appearance. 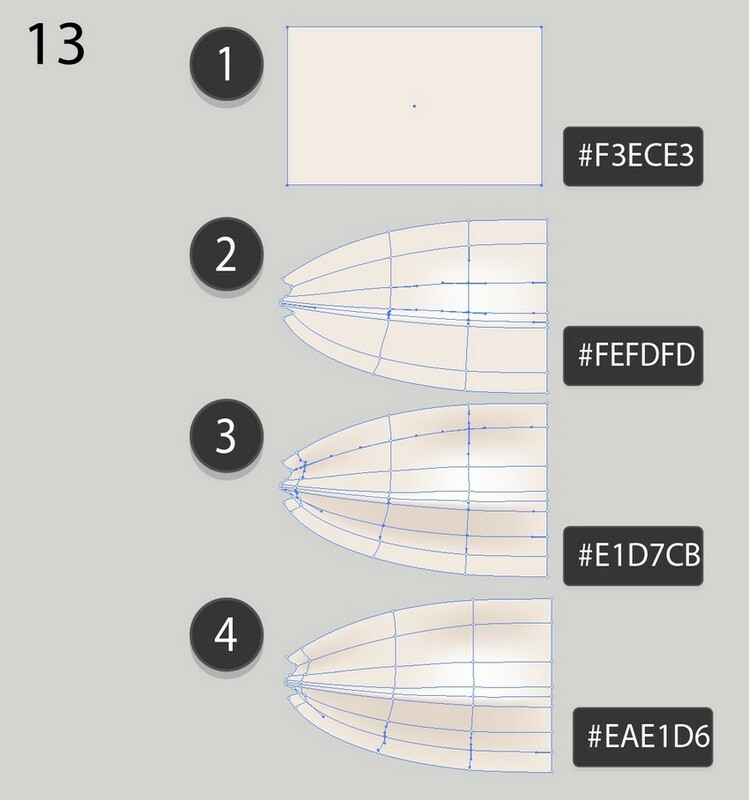 Then manually resize the petal to make it a bit smaller. 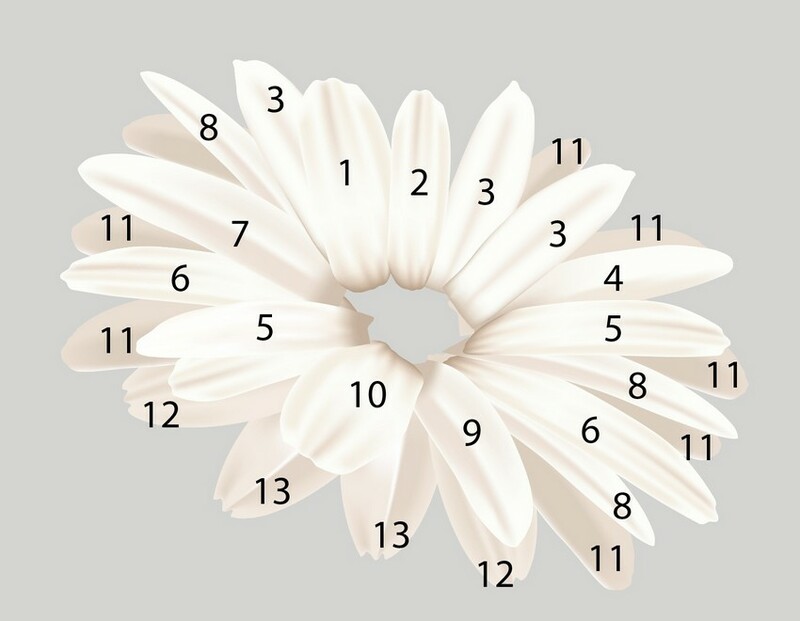 We will be making a lot of different petals, so I recommend that you keep track of the numbers assigned to them! You will be needing those in the future. Return to Mesh for the creation of the third petal. Follow the steps below. 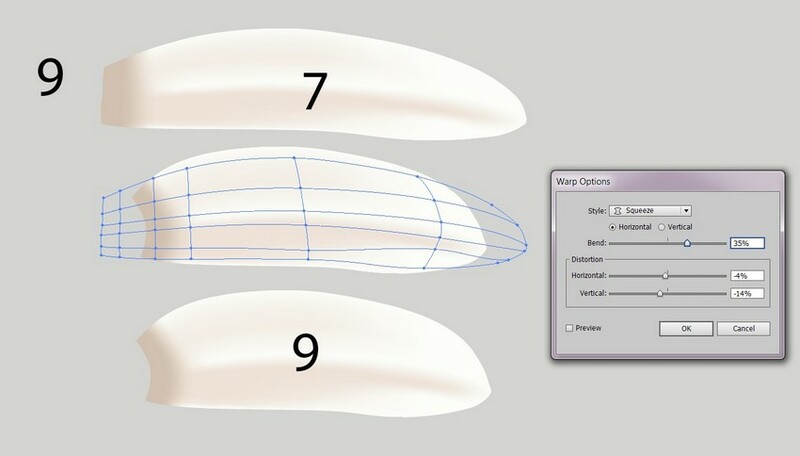 Draw the fourth petal with mesh. To create the fifth petal, grab a copy of the one we made in Step 2. Don’t forget to apply Object > Expand Appearance. To get the sixth petal, simply stretch a copy of number 5. Draw this one with Mesh. For this one, also grab a copy of 7, this time using Effect > Warp > Squeeze. For the tenth petal, return to a copy of the first petal we made and apply Squeeze. Expand Appearance of the object. Make this one with Mesh. Using the numbers as reference, assemble the daisy. In the sidebar of this tutorial, you will find the Download Attachment button. Press it and, when the zip file downloads, unzip the archive. One of the files, full_daisy.jpg, is a photo (taken by me) that we will be using in this step. For the next couple steps, you will be needing Adobe Photoshop. If you don’t have this software, feel free to skip ahead to Step 4. First, open the .jpg file in Adobe Photoshop. 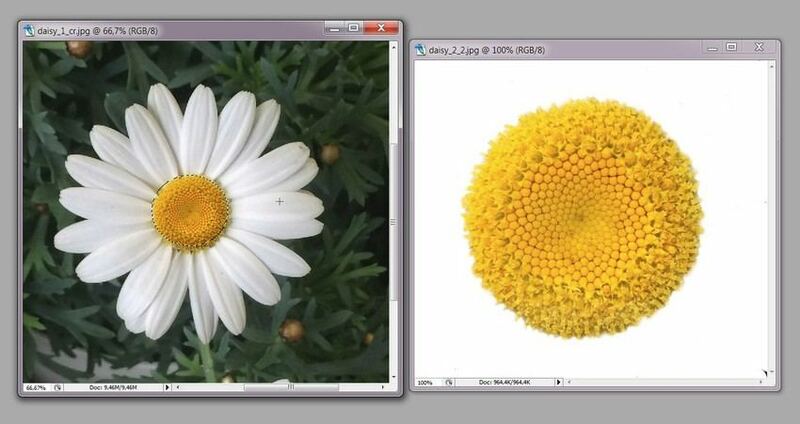 Zoom in on the daisy in the middle and crop out the middle of it; next, isolate it in white as shown on the right. 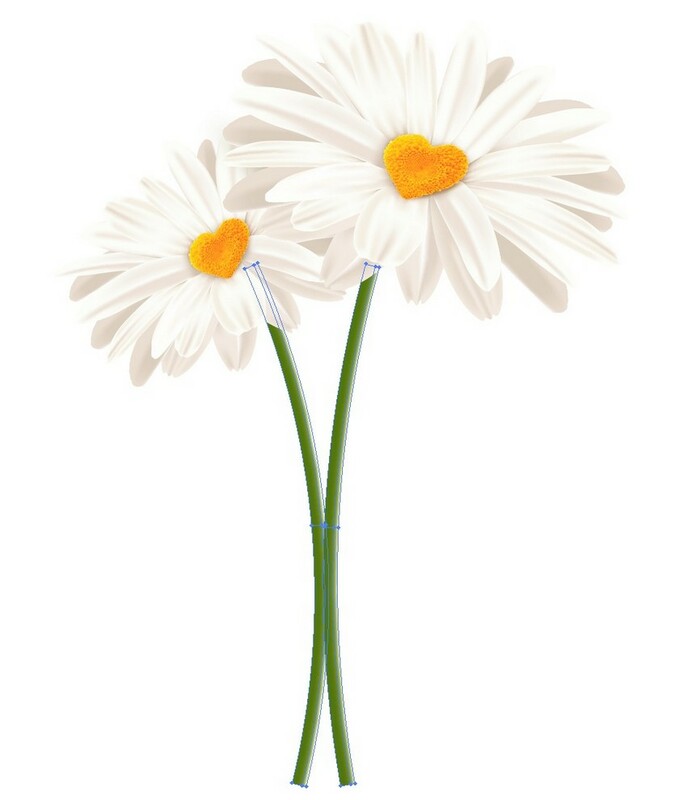 If you encounter difficulties while isolating the middle, use daisy_cropped.jpg for the next step. Go to Filter > Liquify and there, select the first tool on the toolbar. 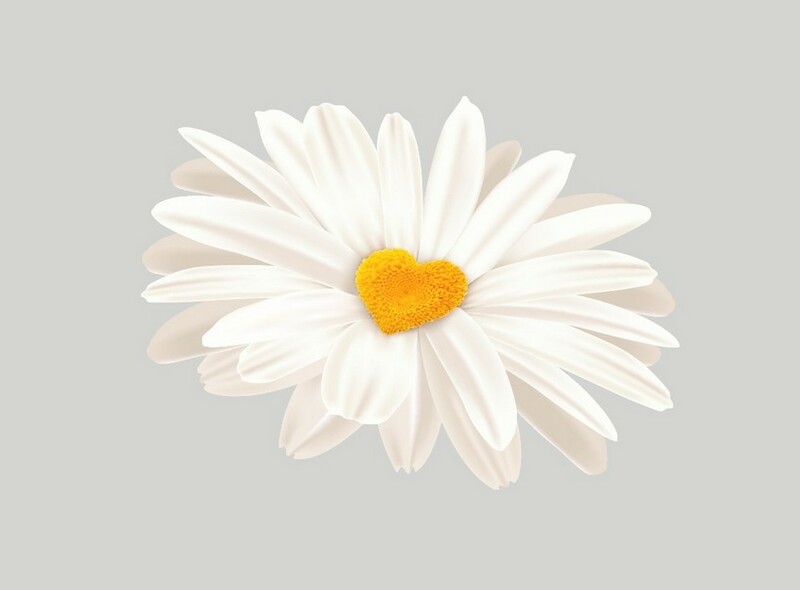 With this, shape the daisy middle into a heart. It should turn out like this; however, this process is quite difficult and requires great attention to detail. 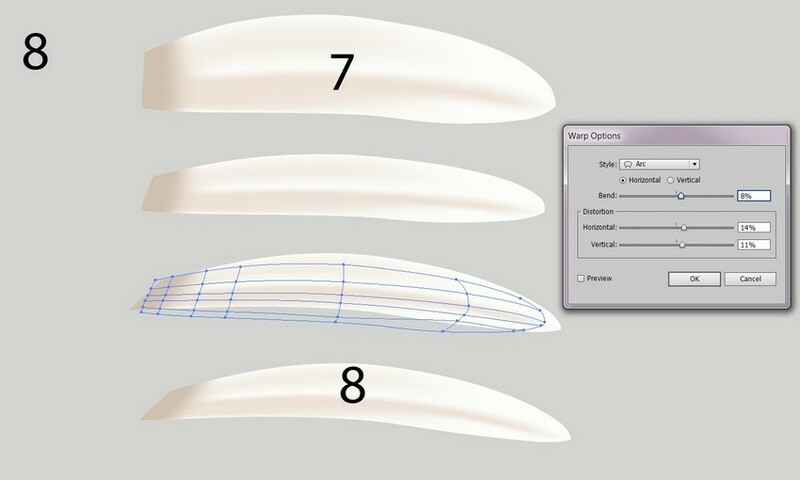 Because of that, you can instead use the file I have made (daisy_heart.jpg) for the next step if you find it necessary. 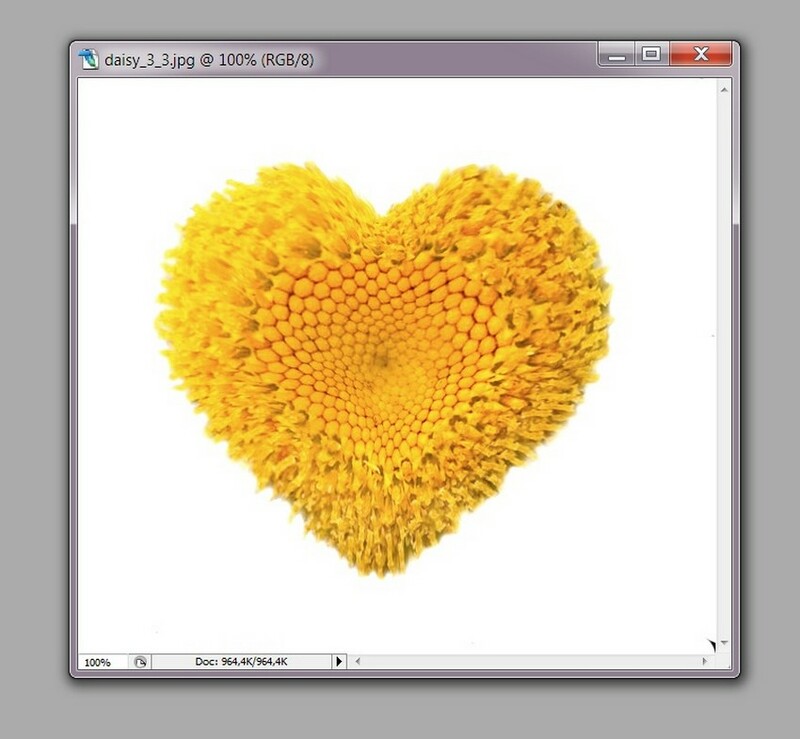 Open the file you made in Photoshop (or daisy_heart.jpg) in Adobe Illustrator. 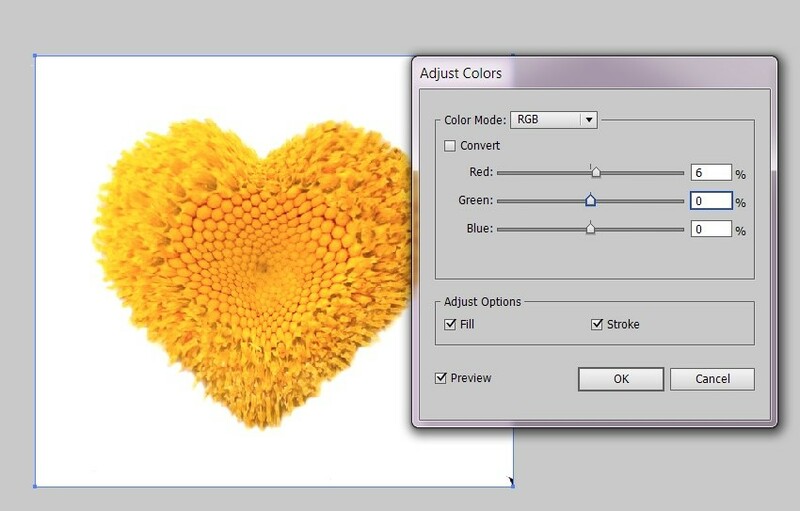 Tweak the color a little bit with Edit > Edit Colors > Adjust Colors to make it brighter. 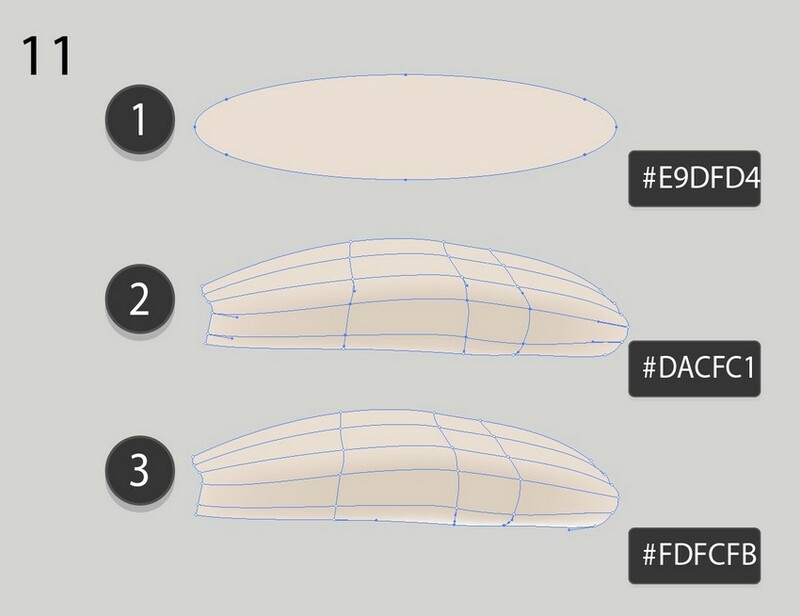 Take the resulting vector and use Effect > Distort & Transform > Free Distort to lay it in perspective. Expand Appearance of the object. 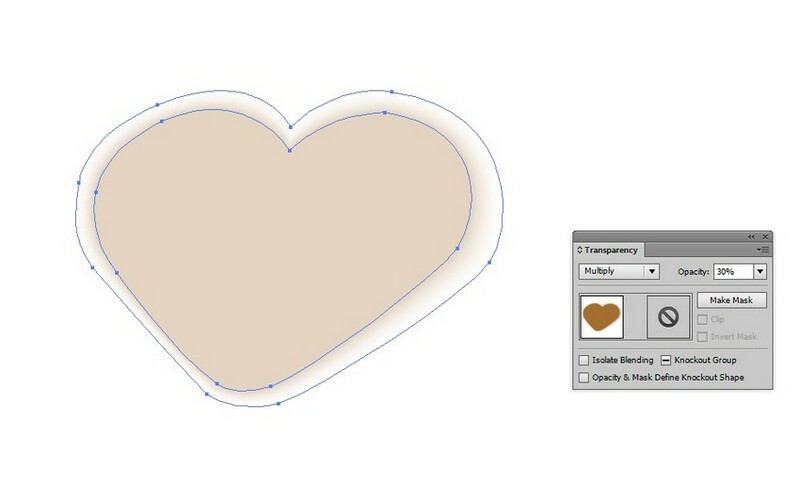 Using the Pen Tool (P), draw an outline for the heart. 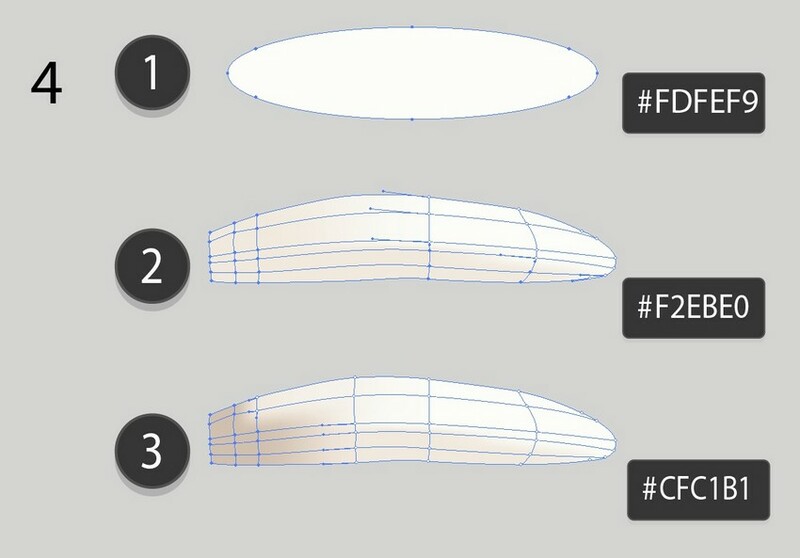 Next, apply a Radial Gradient (#D2A451 – #FFFFFF) to the Stroke. 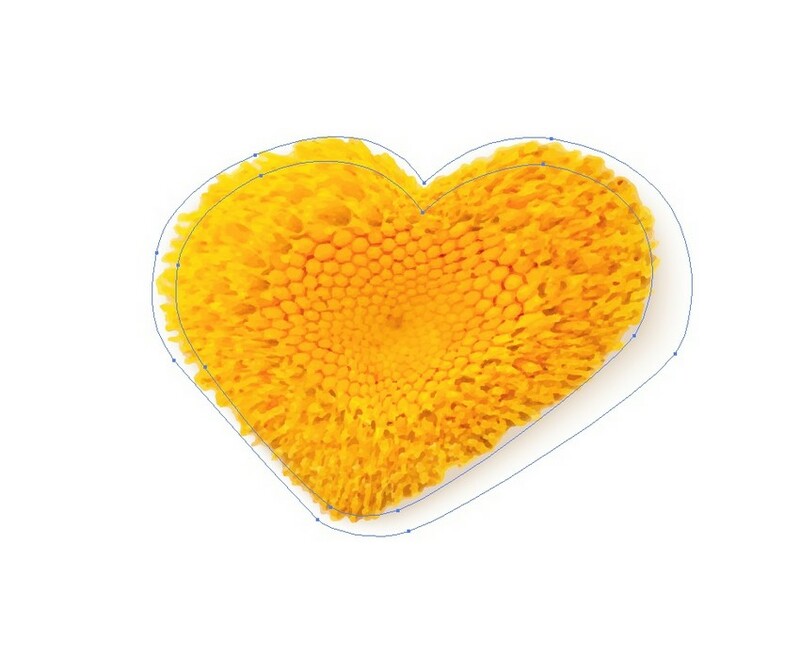 Change the Transparency Mode of the heart to Multiply and its Opacity to 60%. Place the outline on top of the heart. Draw two hearts. Fill the smaller one with #92621E and the bigger one with #E8DCC8. 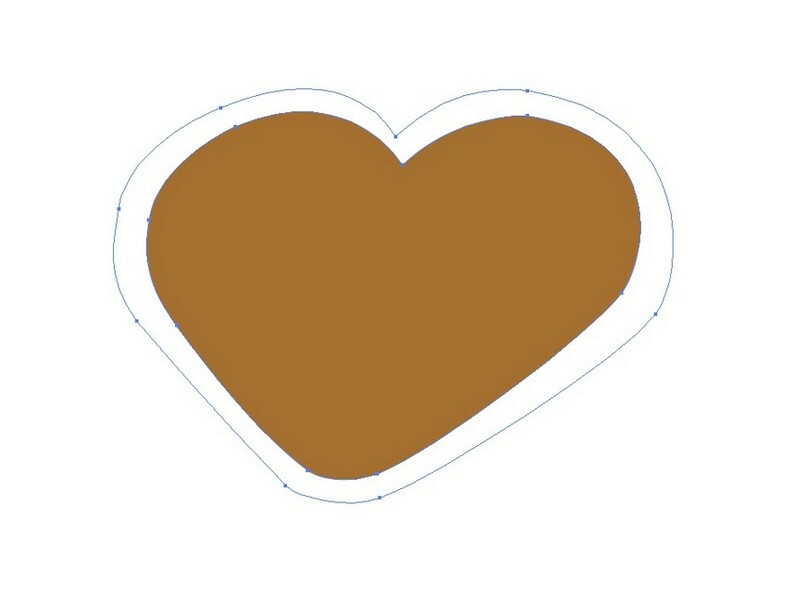 Place the brown heart on top of the white heart and make the white heart completely transparent. Go to Object > Blend > Blend Options, select Specified Steps, and input 30. 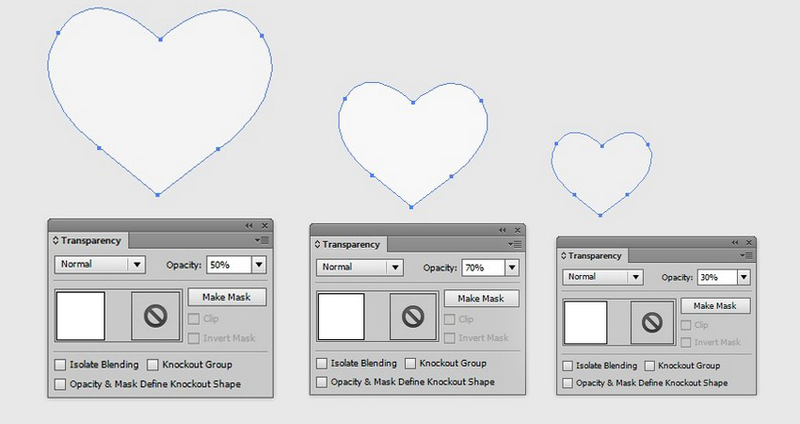 Then, select both hearts and apply Object > Blend > Make. 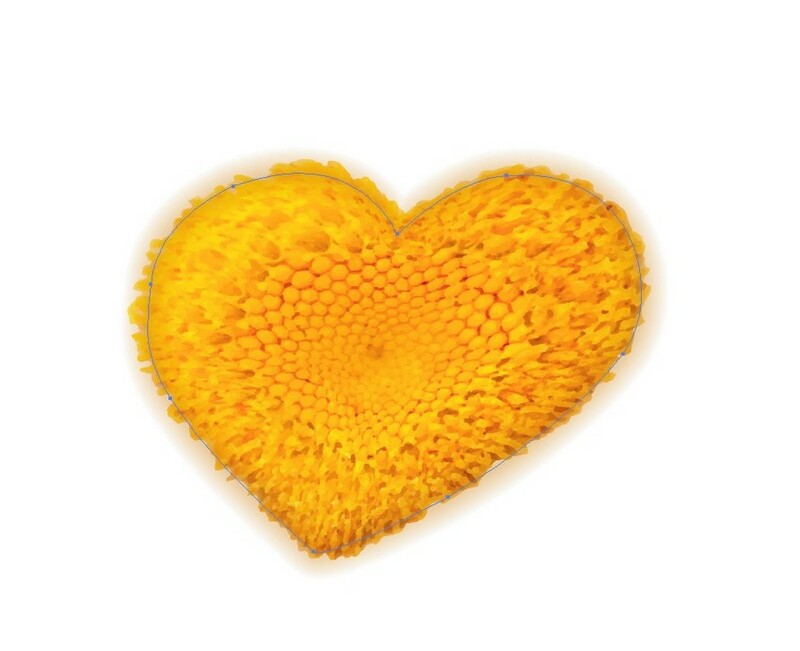 Set the heart to Multiply with 30% Opacity. Place it behind the heart. Place the middle on top of the daisy petals. Draw the stem for the flowers with Mesh. Warp the stem with Arc. 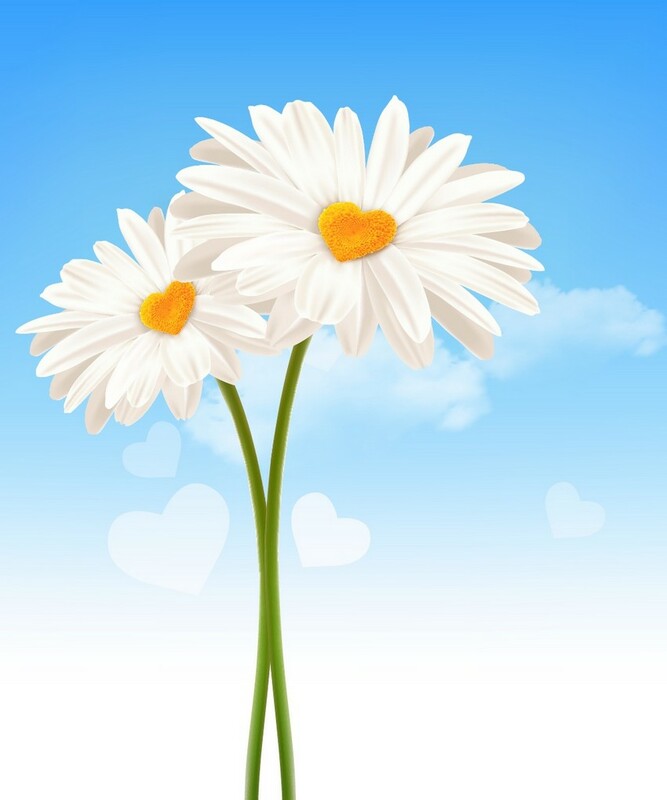 Attach stems to the two daisies. Place the daisies onto the background. 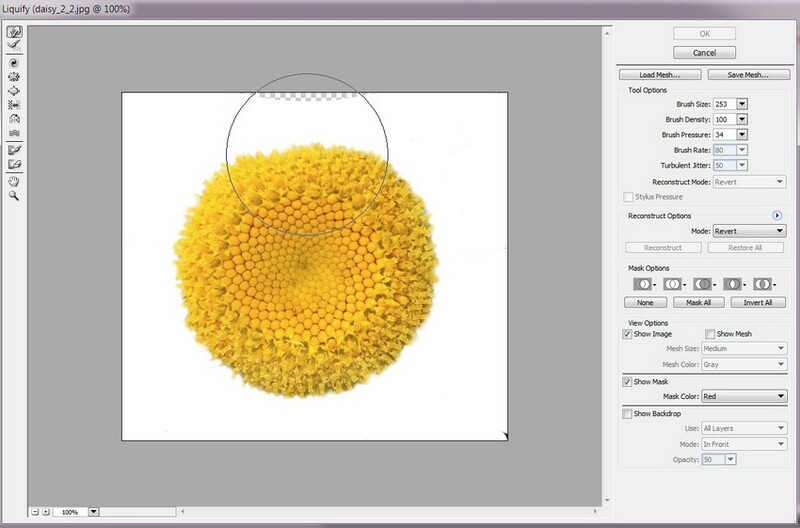 create beautiful photo-realistic daisies using the Mesh Tool. tools for the future! 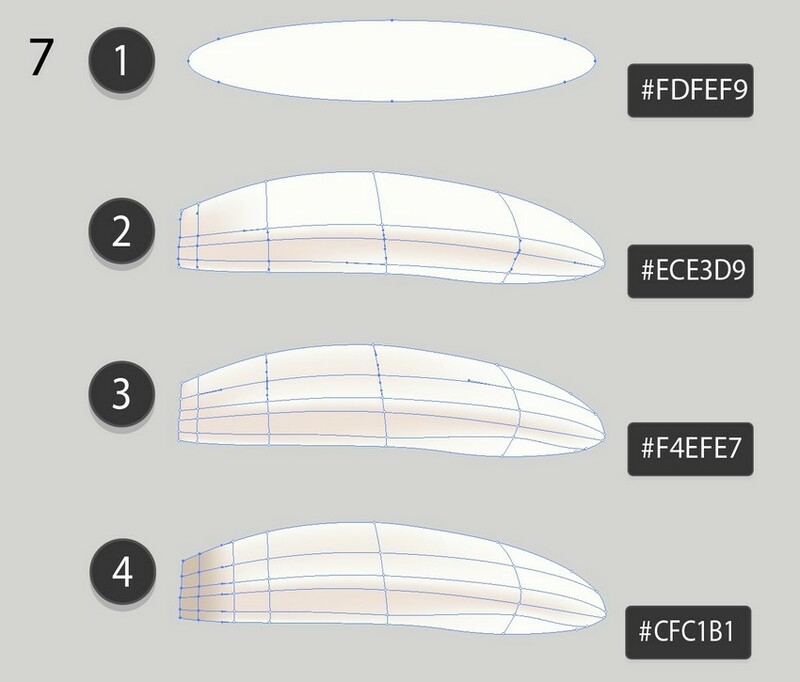 Check out some of my other vector tutorials on my instructor profile. You can purchase these flowers as well as other similar designs in my portfolio on GraphicRiver. CoffeeShop “Textured Sunset Dreams” Fine Art Photoshop/PSE Tutorial!